Hurrah! 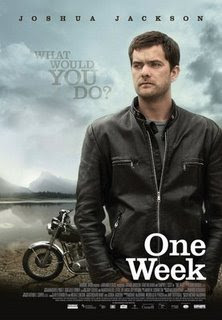 The Canadian DVD release date for the gorgeous 'One Week' starring Joshua Jackson has been moved up from end of June to June 16. Great news!! I strongly recommend that you either rent or buy this Canadian celluloid gem.